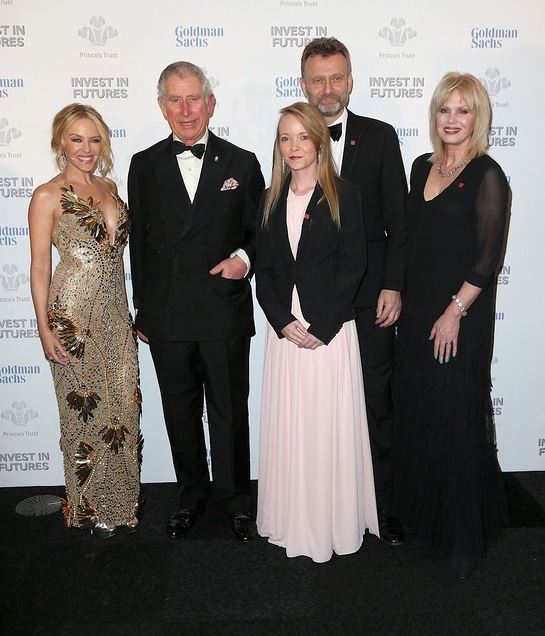 The Prince of Wales, President of The Prince’s Trust, last week attended a pre-dinner reception for the annual Prince's Trust ‘Invest In Futures’ gala, where he met the charity’s Ambassadors, supporters and beneficiaries. Over the past 11 years, The Prince’s Trust’s annual ‘Invest in Futures’ gala dinner has encouraged the financial community to help disadvantaged young people into work, training or enterprise. Launched in 2005 by Michael Marks CBE, the initiative has raised more than £17.5m for The Prince’s Trust and supported tens of thousands of young people. This year’s event was hosted by Joanna Lumley OBE and Hugh Dennis, and featured entertainment from Kylie Minogue. The Prince’s Trust continues to support hundreds of thousands of disadvantaged young people. Since it began, 40 years ago, The Trust has helped 825,000 young people and this year alone, will support over 100 more each day.